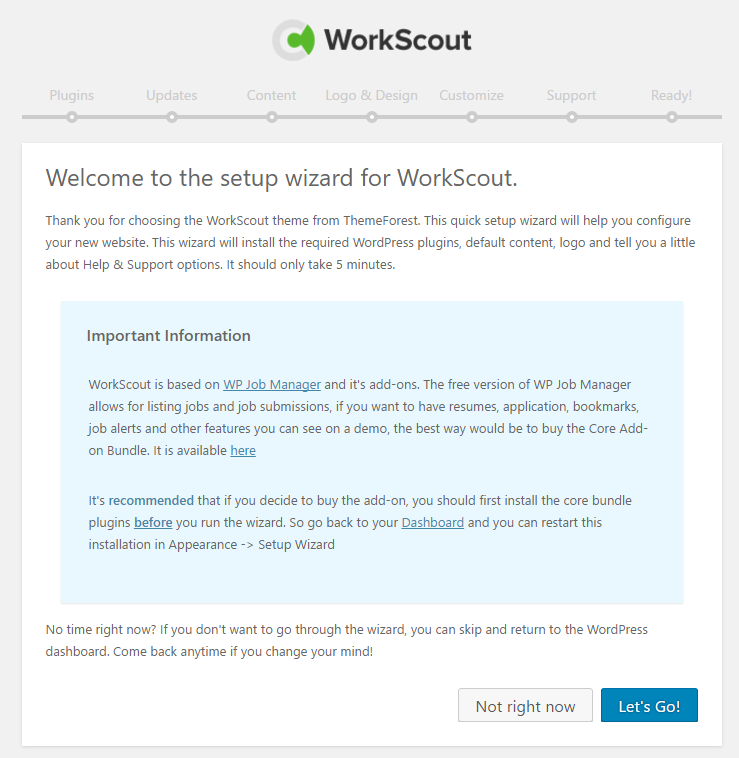 SInce version 1.4 we've added Setup Wizard to WorkScout that will do the demo import for you! You should see Setup Wizard page immediately after activating WorkScout, if you don't or you've skipped it, you can find it in Appearance -> Setup Wizard. It's pretty basic, you just need to confirm each step, the wizard will install and activate all required plugins, import all the content, and set basic options. There are few things you need to do manually after. 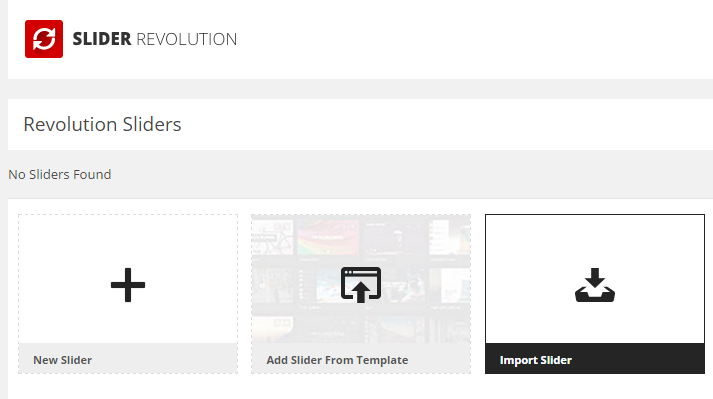 If you've installed all core plugins, and imported demo setting, now the last thing to do is to setup pages. Follow the screenshot to select appropriate pages for each setting. The logo can be set in Appearance -> Customize -> Site Identity.